Non-native species can threaten the habitat of native species and even cause extinction or starving out of the species native to the are. 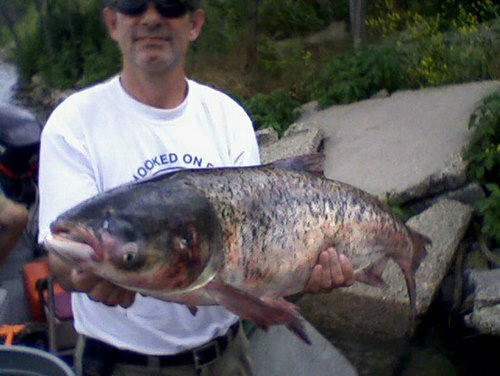 The first Asian Carp has been found six mile from Lake Michigan. "Scientists and fishermen fear that if the carp become established in the lakes, they could starve out popular sport species and ruin the region's $7 billion fishing industry Asian Carp can grow to 4 feet and 100 pounds and eat up to 40 percent of their body weight daily."